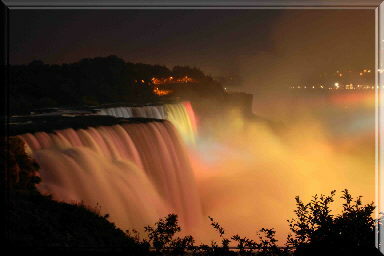 The power and beauty of Niagara Falls, during the day, brings millions of people to the Canadian border each year. Most people never stay late enough to enjoy the fireworks or the magnificent light show projected on the Falls during the summer weekend evenings. The shades of red, white, blue and yellow change every few minutes.